As the name implies, Custom Chassis designs, engineers, and manufactures custom chassis for the construction, agricultural, motor home, tour bus, and specialty market. One of our products is the PowerPlatform® vehicle. It was conceived as a multi-purpose machine with a unique set of features including high speed (40mph), high payload capacity (26,000 lbs), front mounted cab for excellent visibility, and four wheel steering for excellent maneuverability. These features provide market leading value for the agricultural, municipality, and airport maintenance market. your specialized equipment but also building the prototype for your production. This service is suited for business that have limitations in personnel or expertise and need a quick proof-of-concept or test prototype. This is especially important with the constantly changing emission systems. Custom Chassis can also provide a custom electrical system design service. This can be as little or as much as needed including the complete package from concept to installation. 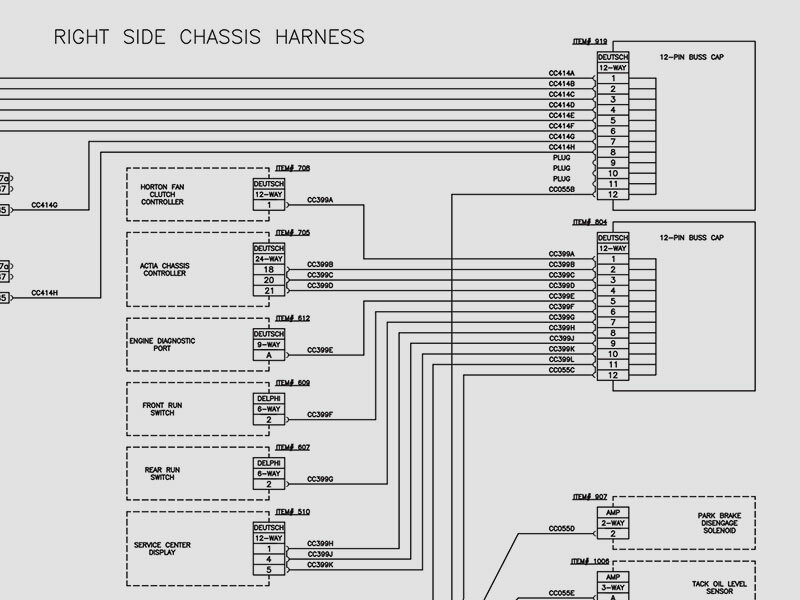 Custom Chassis can provide controller programming, operator display programming, harness design, schematic creation and installation/troubleshooting. Custom Chassis introduces a 26,000 lbs load-capacity multi-purpose vehicle with four-season versatility. Four wheel steering assures excellent maneuverability. 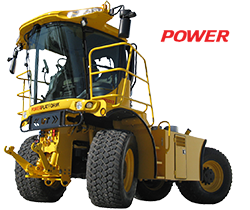 Its features provide market leading value for the agricultural, municipality, construction and airport maintenance market. 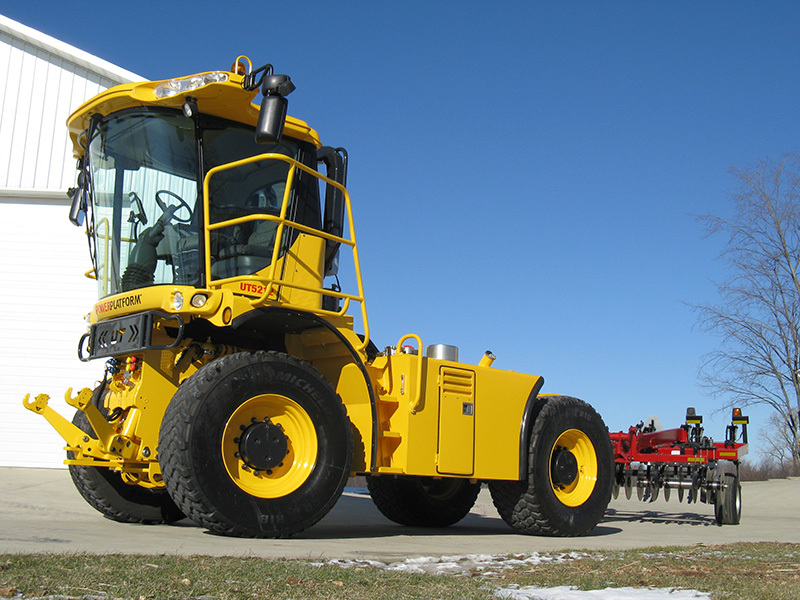 Custom Chassis specializes in the design and construction of engine powered mobile equipment. We understand the complex electronic controls and advanced mechanical drive systems to design and build a complete machine. 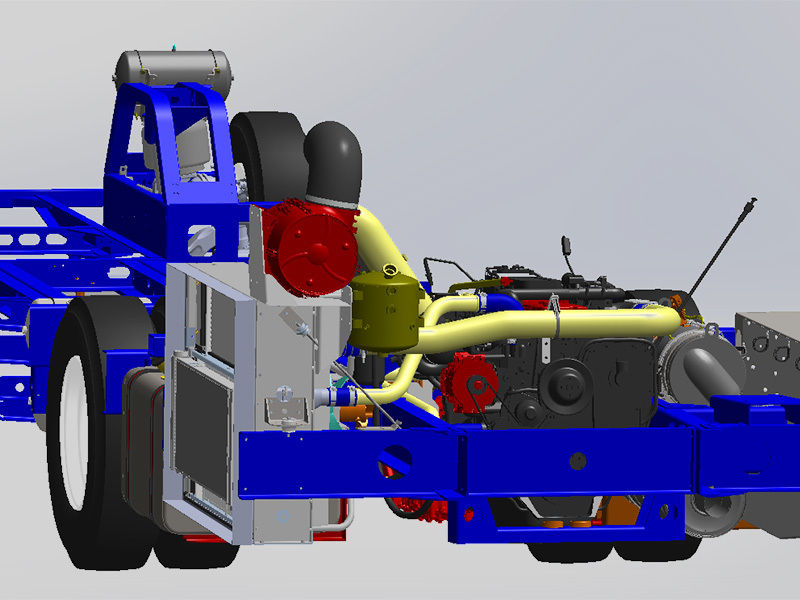 Custom Chassis provides complete custom electrical system design for mobile equipment. Services include harness design and electrical schematics for current production and prototype machines. We have many years of experience designing systems for efficiency and trouble free operation.